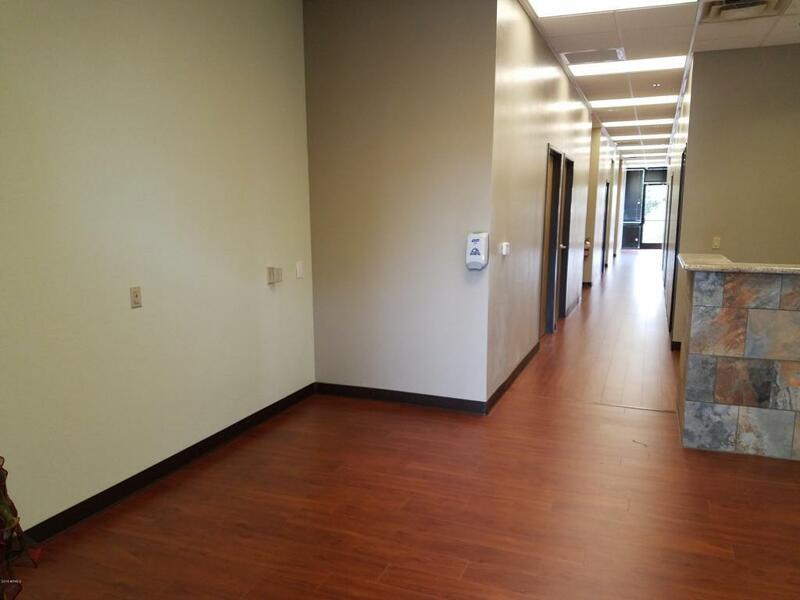 This wonderful office/Medical office suite has many possibilities. 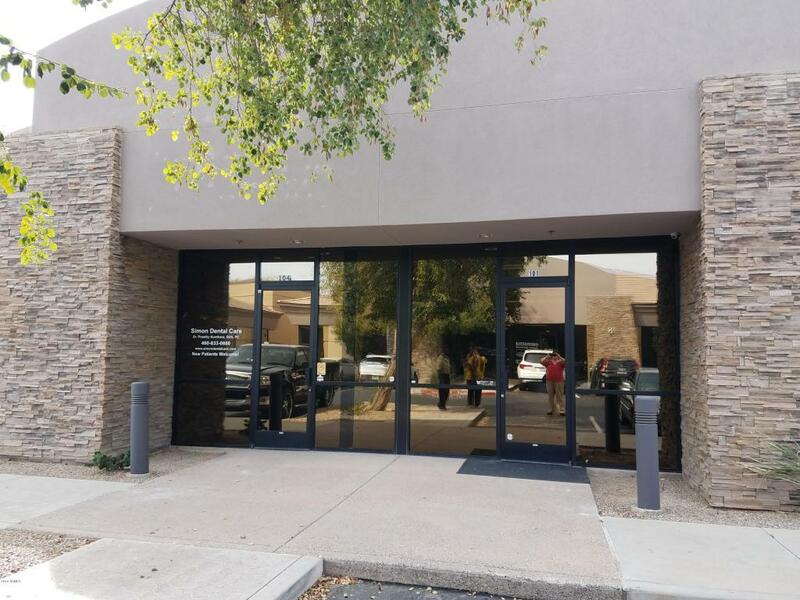 As a full 3150/SF space you have room for multiple offices/exam rooms, phsyical therapy rooms, a workout room/bullpen. 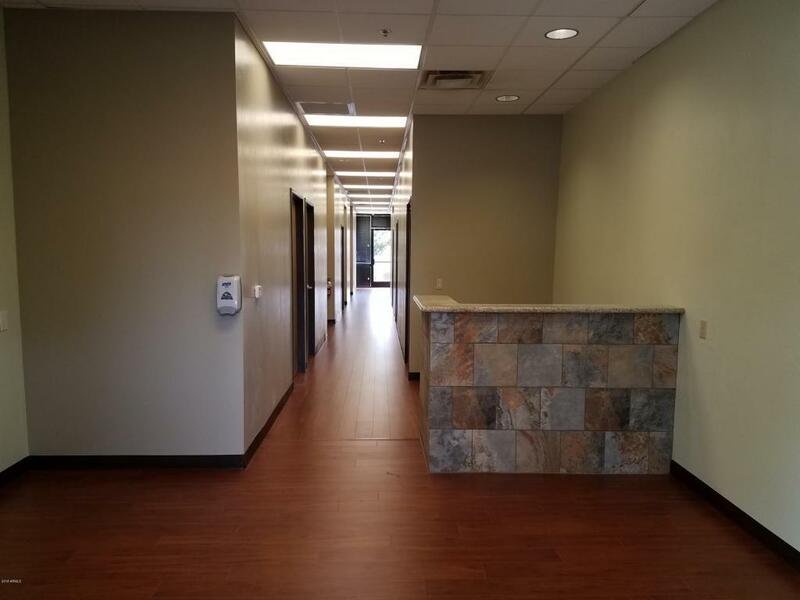 3 restrooms, kitchen and reception finish out this space. It can also be demised into 2 suites. 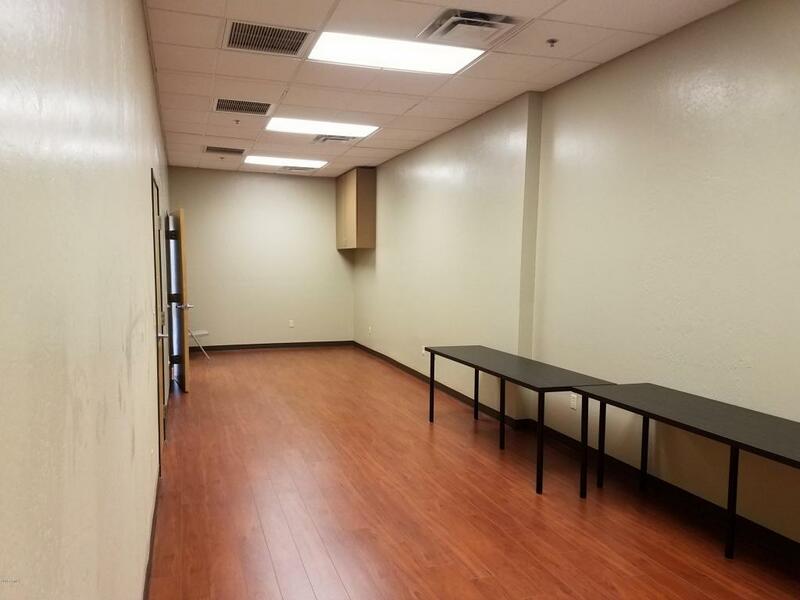 Suite A = 2,036/SF with the exam rooms/offices and Suite B = 1224/SF which is currently set up to be a work out room, martial art studio, yoga studio, physical therapy room, or dance studio with separate restroom. As mentioned before, this space can be used for multiple different possibilities! !